Jessica Long was just 12 years old in 2004 when she won her first gold medal in the Paralympic Games for swimming. Long, who was born in Siberia with fibular hemimelia, a condition that affects the fibular bone in the leg, is a double amputee. She was adopted by an American family when she was 13 months old. Now, the 26-year-old is a 23-time medalist, the second most decorated U.S. Paralympic athlete, and the author of a book. Long and her sister Hannah wrote Unsinkable, which came out this summer. The book follows Long’s life as a Russian orphan and a Paralympic swimmer. As she grew up, she faced many challenges but overcame them as she discovered her passion for swimming. 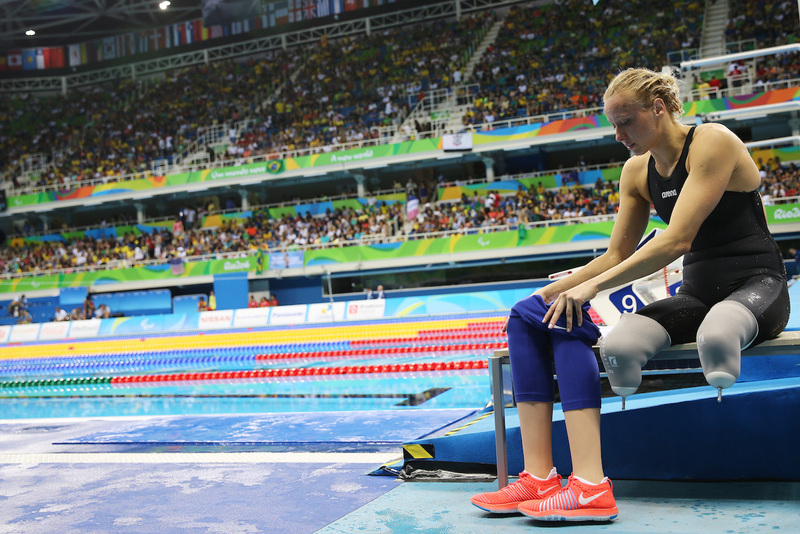 Her journey through the Paralympic Games and the world of swimming began when she was 10 and hasn’t seemed to stop. 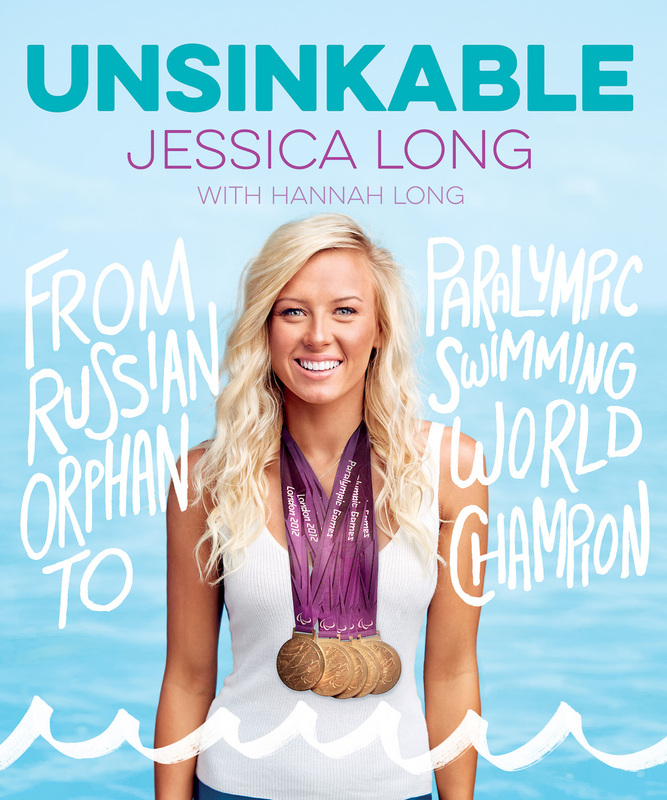 In Unsinkable Long shares her remarkable story and gives young girls all over the world confidence. She spoke with SI Kids about her book, her life, and her Paralympic adventures. I will never forget the time my dad and I were driving to swim practice….I had never done anything good in swimming at this point; I was just a little girl going to swim practice. My dad, Steve, who the book is dedicated to, said, “Jess, I think one day you’re going to have a book.” That’s when everything was planted. What has been your proudest moment as a Paralympic athlete? I don’t think I even know if I’ve had it…I think as an athlete you go until you have no more left to give. I think probably winning my first gold medal. Can you describe what winning that medal was like? Yeah, it’s funny. It almost felt like I was living another life. It was incredible. It is so hard to articulate the exact feelings because it wasn’t just about me, it was about my whole family who had gotten me to that point.…As a 12-year-old I don’t think you can completely comprehend what [it means].…It was exciting. My hero is Erin Popovich, another Paralympic swimmer. She was just everything in the sport of Paralympics; she had it all, whether it was breaking world records and winning gold or being a great teammate and always smiling. I just remember Po—what we always call her—smiling in and out of the pool. I remember being like, “I want to be like that girl.” She was the girl I always looked up to.